With the fast approaching flying season, students rushed to fill the seats at the flying academies and begin ATPL Integrated training. 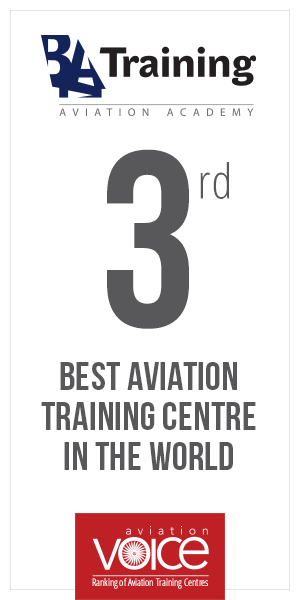 The ATPL Integrated course is the fastest, yet the most intense and the most valued by the airlines course which allows students to acquire commercial pilot license and be prepared to join the aviation market. The group of students who joined ATPL Integrated course at BAA Training is the first ones to be a part of the pilot scholarship program which was launched in November of 2015. The recipient of the first scholarship is Mohammad Amin Mostalemi Esterabadi, 32 years old student from Iran who has been living with an idea of becoming a pilot for many years. Prior to joining the flight academy where he will focus on acquiring the commercial pilot license, Amin has received Master’s degree in Material Engineering Science in Austria. His future plans are to return back to Iran with his commercial pilot license in hand and join flourishing Iranian aviation market where he can develop his further career. “We are happy to grant this scholarship for a very motivated and truly passionate person who, without any doubt, will pursue the career in aviation and will take full advantage of his studies at BAA Training. We are certain that Amin will be a great and much needed fulfillment for aviation industry”, commented Indre Sveistryte, Ab Initio Director at BAA Training. This ceremony opened up the floor for the second scholarship round which will be announced in June as the new ATPL Integrated student group will gather for their studies on June 1st. The recipient of the scholarship will be announced once the entire group of ATPL Integrated students begins their studies and undergoes additional Profile XT, assessment, English language test and interview procedure. BAA Training Pilot Scholarship was established for the sole purpose of providing the aviation market with the most talented and motivated individuals who undergo quality training and are then recruited by airlines for the professionalism and skills. More information.